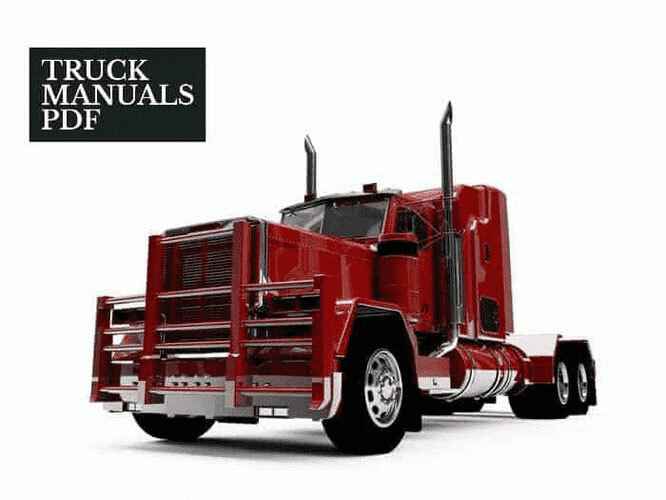 Some KrAZ Trucks Manuals PDF & Wiring Diagram above the page. 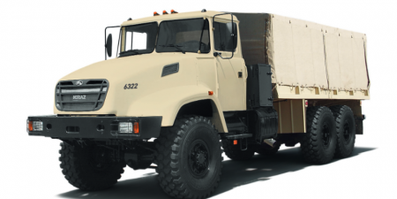 KrAZ history began in the 30s of last century, when in Ukraine in Poltava region on the outskirts of the city of Kremenchug Aviation Plant construction began. With the construction had to freeze the beginning of the Great Patriotic War. After the liberation of the city, construction resumed, but it was decided to change the profile of the company - the country needed to restore the destroyed bridges. In 1948, the plant began producing bridge spans. For eight years, the plant has produced steel structures for the construction of more than six bridges with a total length of 27 kilometers. In production by the middle of the 50s more than two thousand people were employed. Change the country, it restored the national economy, new problems appeared - and changed the Kremenchug refinery. In 1956 it was transferred to the Ministry of tractor and agricultural machinery, and renamed in Kremenchug Combine. In Kremenchug began to produce harvesters to collect corn, so popular during the leadership of Nikita Khrushchev. Although maize saga did not last long, the plant managed to produce more than 11 thousand agricultural machines. May 1958 - a turning point in the history of KrAZ. Indeed from this time and re-start of the plant for the manufacture of heavy three-axle trucks. Government of the USSR, it was decided to postpone to Kremenchug with the Yaroslavl Automobile Plant (YAZ) of the main assembly plant. Plant in Yaroslavl renamed Yaroslavl Motor (YaMZ) and saved on it producing powertrains. The first trucks under the brand "Dnepr-222", collected in April 1959. It was ten-three-axle dump trucks with two-stroke engines Yaroslavl, created on the basis of YAZ YAZ-214 and-219. However, the name of the "Dnepr" car did not stick, and trucks, manufactured in Kremenchug, was soon assigned to the adopted in the Soviet automobile marking the traditional "AZ" at the end. So there is a new brand of trucks - KrAZ. In1960 first KrAZ trucks were exported, including in tropical execution. In 1961, overseas in 26 countries already traveled 496 machines, and in the early 70s went through the thousands. Today, 85% of enterprise products intended for delivery to foreign countries, of which the largest part of the trucks sold by Russian enterprises and organizations. 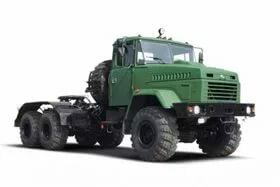 The first major upgrade of trucks KrAZ held in 1965, providing them with a more powerful and economical diesel YaMZ-238 and a five-speed manual transmission - so appeared KrAZ-257, is available in various versions until 1995. Since 1978, in parallel with the old model on the conveyor put KrAZ-250. And in 1979 on the basis of "250 th" appeared terrain vehicle 6x6 - KrAZ-260. These cars became the ancestors of all modern family of Kremenchug trucks, tractors, trucks and SUVs. The lion's share among vehicles currently produced retain dump trucks, led by strong demand for them. This is a whole range of three-axle vehicles with 6x4 and 6x6 and capacity from 13.5 to 18 tons. The most popular among consumers purchased samovaly KrAZ 6510 (6x4, load capacity 13500 kg, body volume 8 cubic meters. ), KrAZ 65055 (6x4, 16 ton, box 10.5 cubic meters.) and KrAZ 65032 (6x6, 18 tons , body volume 12 cubic meters.). Tractor Units Kremenchug car factory are popular not only because of the presence of a reliable proven engine time YaMZ-238 and its unpretentiousness in service, but also due to its lifting characteristics - up to 60 tonnes can be used tractors KrAZ with semi-heavy trucks for up to 40 tons. In addition to all-wheel drive KrAZ 6443 KrAZ 6446 and used in any conditions , Automobile manufactures and three-axle semitrailer tractors with 6x4 KrAZ 64431. On the chassis KrAZ-65101, KrAZ-65053, KrAZ 63221 mounted a wide range of special add-ons: diverse special equipment for oil and gas and timber industry, mining, construction and utilities. Units and vehicle units are reliable, easily accessible for inspection and maintenance. High throughput, large capacity, reliability and ease of maintenance of KrAZ vehicles inspected roads bezdorozhem and time, making them indispensable for the various sectors of the economy. After the collapse of the USSR the Kremenchug Automobile Plant had not the easiest times, production declined sharply, but in the last 2-3 years, the situation has stabilized in the plant and the enterprise, things went better.